Your favorite pieces of jewelry are more than valued possessions. They’re reflections of who you are. They’re symbols of your feelings for loved ones and of life-long relationships. Protecting them from theft, damage, mysterious disappearance or loss is as natural and important as protecting anything of great value, both emotionally and financially. For peace of mind, we recommend you apply for insurance directly after you make your purchase. Bergstrom Studio wants to make sure your investment is protected for a long time to come. 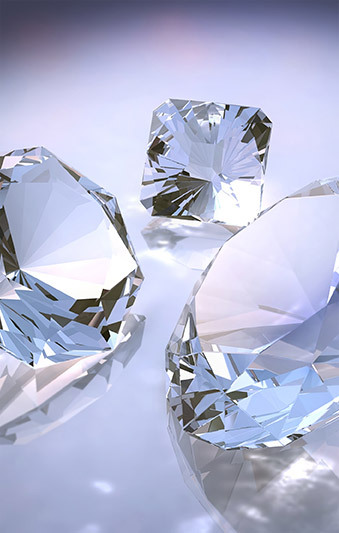 Jewelers Mutual is the only insurer in the U.S. and Canada* specializing exclusively in jewelry insurance. As the nation’s leading jewelry insurance specialists, they have been exclusively insuring jewelry and jewelry businesses for 100 years. Jewelers Mutual’s Perfect Circle® Jewelry Insurance coverage protects nearly 300,000 individuals’ personal jewelry items and covers types of losses where other carriers can fall short. The piece of jewelry you choose at our boutique may have made for a hard decision as you look for the perfect one, but the choice to insure that jewelry should be easy. To insure your jewelry with Perfect Circle Jewelry Insurance from Jewelers Mutual, you may go online at PerfectCircleInsurance.com or call 888-884-2424. * Coverage not available in Quebec. To learn more and get a free quote CLICK HERE. Have questions about jewelry insurance? Email Jewelers Mutual at PersonalJewelry@jminsure.com or call 888-884-2424.